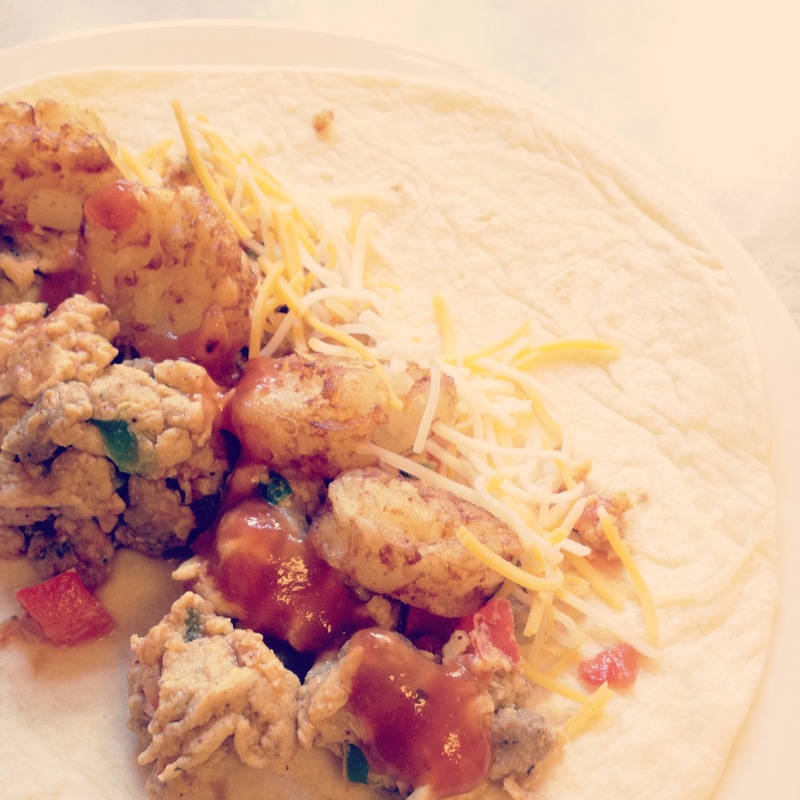 for a long time, i was unable to find a really good taquito recipe that did not involve frying. they are always fried (traditionally) and i am just not the frying type. so i came across this one and was excited to try it, although i was a little skeptical. but it said “creamy” so i was in. and i wasn’t disappointed. these are wonderful! they disappeared pretty fast in my house. there is an option to freeze extras at the bottom of the recipe. i froze about half of the taquitos and was thinking that they would be perfect for lunch for the next week. they were gone within 24 hours. preheat the oven to 375. spread a piece of foil across a baking sheet, and arrange 2 chicken breasts in a single layer in the center. sprinkle both sides with salt & pepper, and season as you wish. fold the foil over the chicken and enclose to form a packet. bake the chicken on the baking sheet 35-45 minutes, or until cooked through. 1. preheat the oven to 425 and spray a baking sheet with cooking spray. 2. in a large bowl, combine the cream cheese with the salsa, lime juice, cumin, chile powder, cayenne, onion powder, garlic, cilantro, scallions, and 1/4 tsp salt. fold in the shredded chicken and cheeses. taste and season with additional salt & pepper if necessary. 3. working 3 tortillas at a time, stack them on a microwave plate or in between 2 paper towels and cook 30 seconds or until the tortillas are soft and pliable. spoon about 2 tbsp of chicken filling onto the lower third of each tortilla and roll tightly. place seam-side down on the prepared baking sheet. repeat with remaining filling & tortillas. 4. spray the taquitos lightly with cooking spray and sprinkle with a bit of salt. bake 10-15 minutes, or until the tortillas are crisp and golden-brown. serve with salsa, guacamole and/or sour cream (my personal favorite one to dip them in). 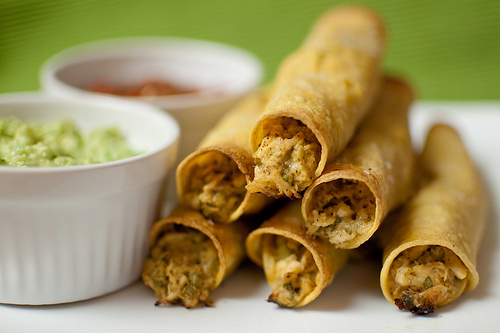 prepare the taquitos, but before baking, place the baking sheet in the fridge until the taquitos are completely cold. wrap 1-4 taquitos in a piece of plastic wrap and freeze. to bake, unwrap taquitos and cook in a 425-degree oven for about 15 minutes (no need to thaw first). **another note: i’m pretty sure i wasn’t paying too much attention that night for some reason and i put the whole block of cream cheese in, instead of just the 3 ounces. needless to say, my taquitos ROCKED. so my oops could be your gain. you are welcome.